Only a week and a half left until the deadline of the Creative Celebration. Entries have been coming in but I know of some of you out there that I haven't received an entry from. Remember to get them in soon. The big night will be April 1st...more details to come in the next few days, but circle that day on your calendar now. 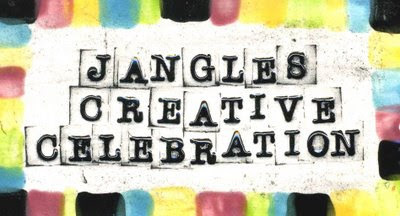 Here are the official rules to the Jangles Creative Celebration Design Contest.